Welcome to the new and improved Freebie Friday! Instead of featuring one freebie, we’re featuring 10 of a specific type every other week! 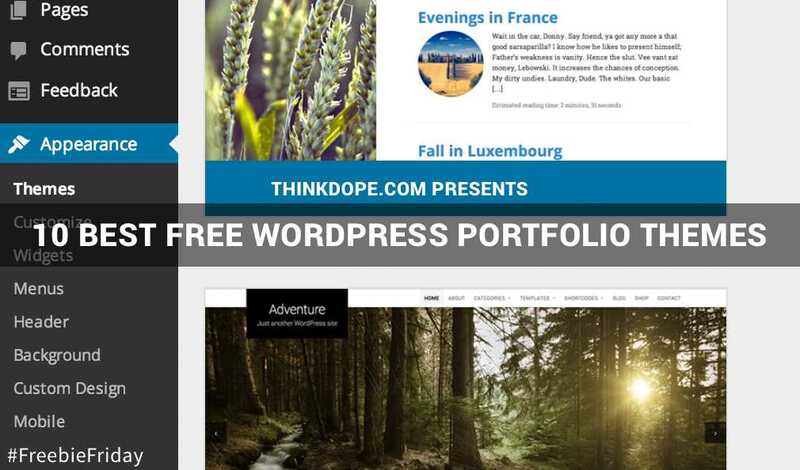 To kick things off we’re going to run down the 10 best free WordPress portfolio themes you can get. 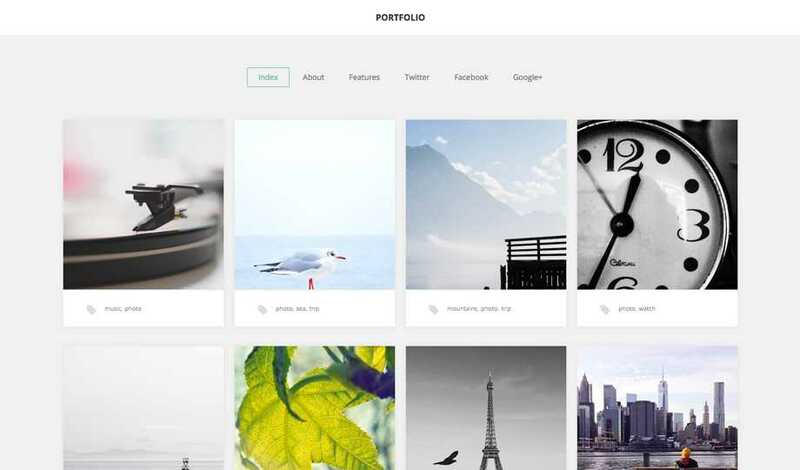 Portfolio is a slick responsive theme that lets pictures flourish in a grid-style system not too far from our own. The simplicity of it also allows viewers to focus on just the portfolio content, which is perfect if you have quality work to showcase. Portfolio comes with a built-in customizer allowing you to make some changes like color schemes and Google fonts without getting your hands in code. Also it doesn’t hurt that the lightweight coding of the theme makes it super fast. 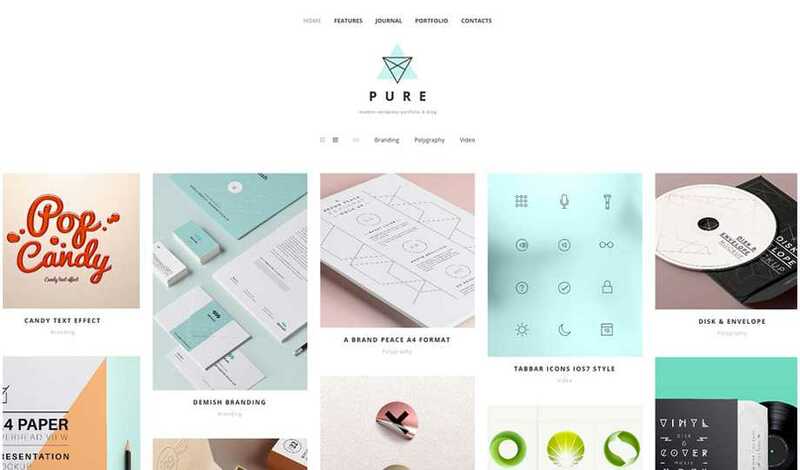 Pure is another grid-style theme that highlights pictures, but with a more modern feature set. Pure swaps out a hard structured look for more of a fun and interactive portfolio grid with options to hide pieces based on user options. It also has the option to abandon the grid completely and display in a more traditional list. What I really love about Pure is their custom shortcodes and features added to this free theme like accordions, icons, price tables, and so much more. Tint is more of a professional studio/firm approach to portfolios. It’s for those that can’t get away with throwing up pictures. With a structured landing page and full blog capability you can’t go wrong with this one. I also love their extra features like toggles, buttons, and dropcaps. vFlex is another portfolio theme with a more studio structure. Admittedly it is a bit plain compared to other options, but it’s a solid professional looking portfolio theme that is responsive and lightweight. If you do have any coding experience you could probably make it look a bit more lively with ease. SimpleCorp is a neat option because it doesn’t clearly sit on if it’s better for studios or individuals. It’s got an oxymoronic serious playfulness to itself that allows any type of creative to use it. I also love the swappable backgrounds and shortcode extras SimpleCorp brings to the table. 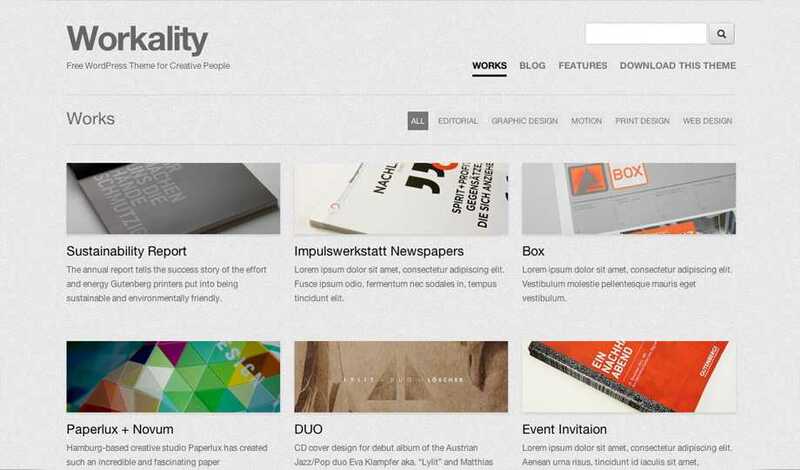 Workality takes the grid system and makes it a bit more professional looking for a studio or agency to use. 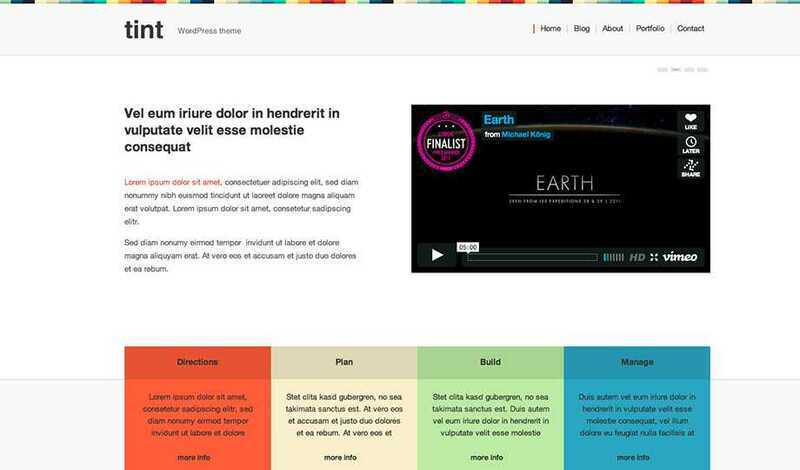 With a more structured approach you have to love the grid system at work and the solid blogging experience. Workality might not have all the extra bells and whistles, but it excels at what it can offer you. 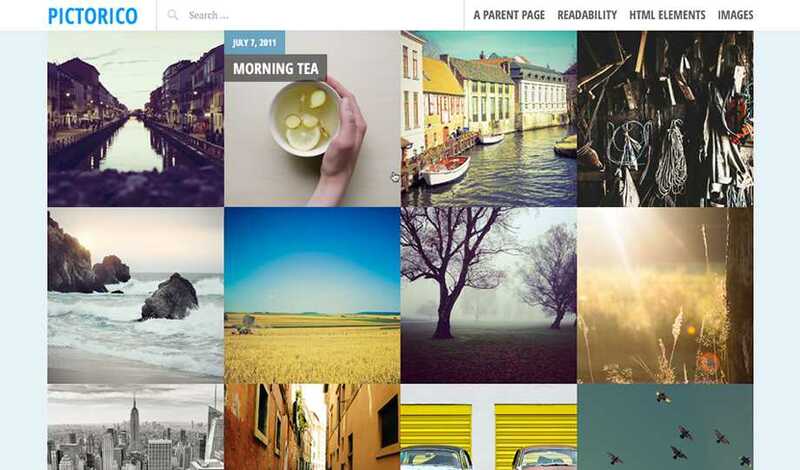 Pictorico is the perfect portfolio theme for photographers to really showcase their pictures in a big, bold way. The best part is that because it’s made by the company who manages WordPress.com you know it’ll be updated and has killer blogging capabilities such as pull quotes and pull images in text. DW Timeline is unique because it’s timeline structure is similar to a tumblelog – or as most would see it – a Tumblr theme. This makes for a great first impression and unqiue way to showcase your work. 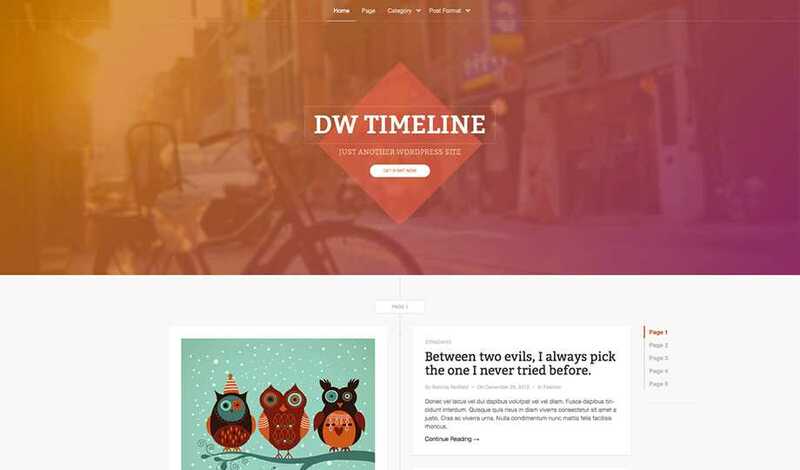 Compatible with 6 different post types and a slew of customization features, DW Timeline could be perfect for any individual creative’s portfolio. What would this list be without at least a single one-page theme!? 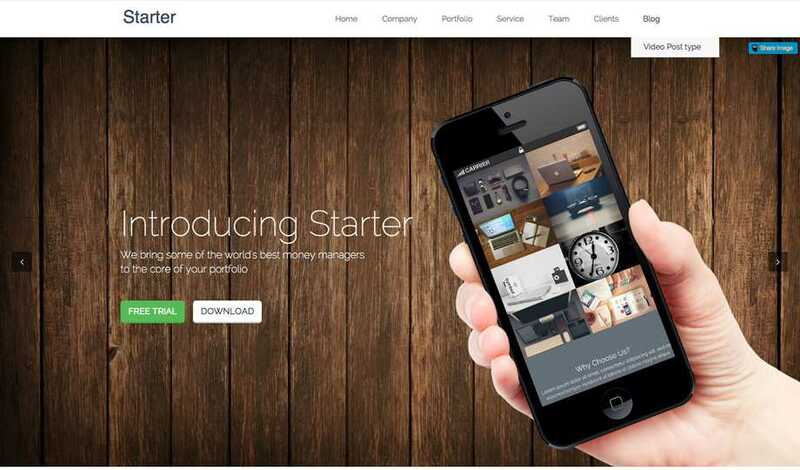 Starter is a one-page portfolio theme that could represent either and individual or agency in a smooth experience. What’s great is Starter also comes packed with blogging capabilities, just incase you want your one-page theme to become a blog as well. 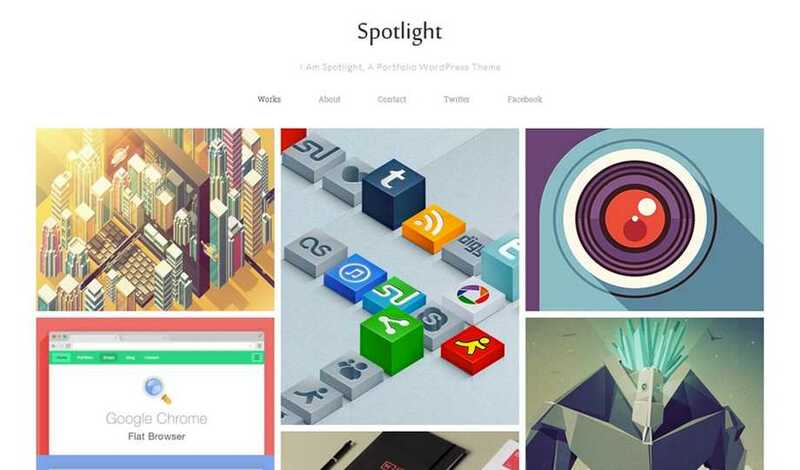 Spotlight is labeled as a premium designed theme that’s being given away as free. It definitely appears to be of premium quality with the beautiful grid and easy-to-use theme editor that makes this the perfect theme for any individual creative that needs a portfolio. 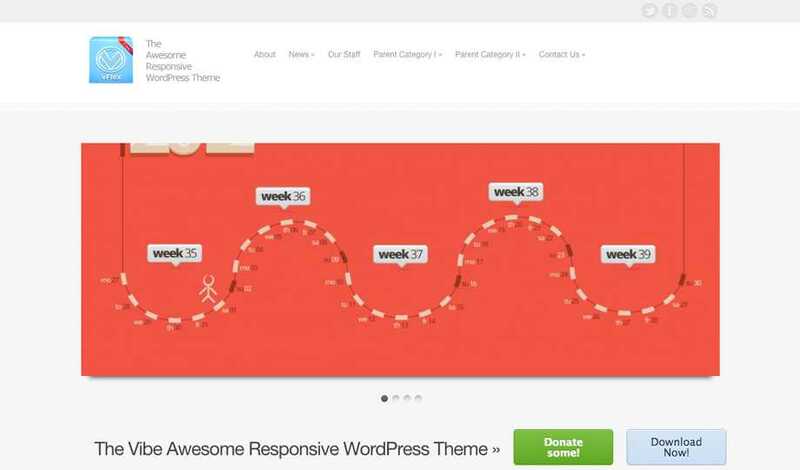 All of the themes mentioned in this article are responsive and should work on the latest version of WordPress. They are all currently offered for free by their developers, but could change at any time. Enjoy! 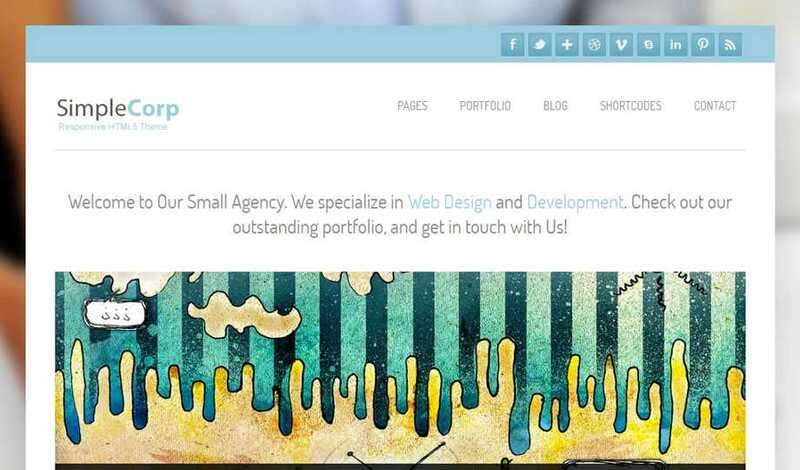 What did you think about these 10 best free WordPress portfolio themes!? What would you like to be featured in future Freebie Fridays? Let us know in the comments! I don’t need to tell you how valuable Twitter is as a tool for marketing your business and brand. Having a huge following is a must, so I welcome any service that helps grow my followers count with real people. This is my experience with TweetFull, which helped me gain about 1000 real Twitter followers.